Over the years I have met and provided advice to many guitar players. It is true to say that while many were accomplished players some of the tones that they were using were, to be totally honest……bloody awful!! Each to their own I hear you cry? Who am I to be telling you that your guitar sound is cobblers? “I can’t help it!” is the answer to that question. I love the guitar and all the tonal possibilities that it and the surrounding paraphernalia can achieve. Creating a great tone in this modern world shouldn’t be that difficult should it? Depending on your budget you have access to a plethora of amplifier companies, more pedals than I ever thought could possibly exist and just how many single and double cut pieces of mahogany and alder are there!? You can spend a fortune on tone chasing, new guitar, new amp, new pedal, new tattoo………….well okay, not the new tattoo but you get the idea. Getting your basic tone right is a key piece of the puzzle. This may sound obvious, but it’s surprising how many fancy delay pedals and multi effects you see guitarists using, that when they are switched off their basic clean and crunch tones are bland and lifeless. 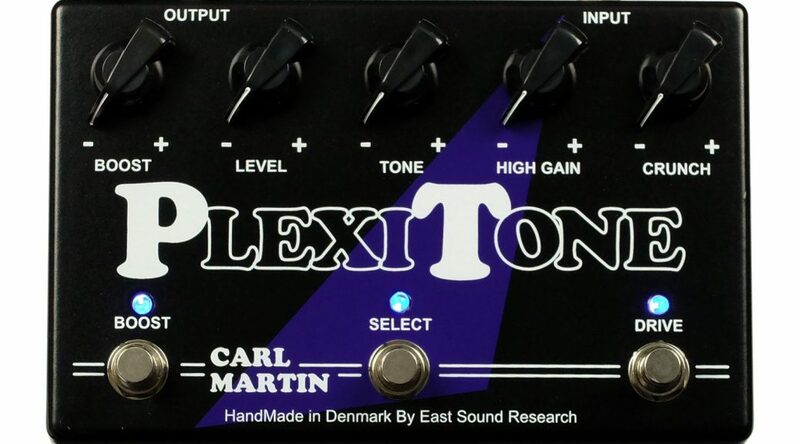 Here is where I bring in the Carl Martin Plexitone. If ever there was a pedal that gave you such a perfect range of crunch and lead tones this is it. 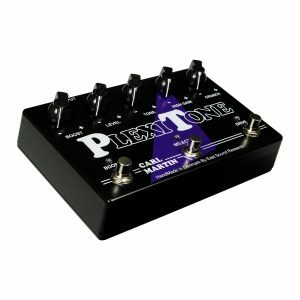 I personally love this pedal and have used it and recommended it for many years. The drive tones available are very much as the name would suggest, plexi through and through. Old school plexi tones are here on the crunch setting covering Hendrix to AC/DC . The crunch side of the pedal has extra gain on tap and takes you into hard rock territory with ease but maintains fantastic clarity thanks to the extra headroom of the circuit running at 12 Volts. Modded plexi tones just ooze from the high gain setting. Huge sounding chords and modded lead tones to die for pour from this setting (think natural compression and “sag” ) and provided the perfect lead channel you could be missing. And then there is the independent clean boost that sits under the switch on the left hand side. 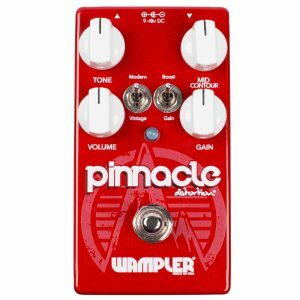 This is just the perfect addition and takes this already fantastic drive pedal into the perfect tool for creating that great basic tone. But here is another use for that clean boost. I always like to kick the clean channel of any of my amps just to push them a little and give them more presence and bite. With the boost being independent I leave it on all the time so that my clean has that extra sparkle and punch, then I just switch on the gain side of the pedal when required. If your clean channel is a little flat or lacking power then trust me that this clean boost will bring it to life. 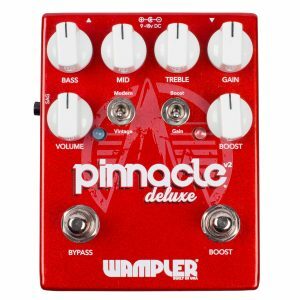 Don’t forget also that if you are running a twin channel amp with a clean and dirty channel, the boost into your dirty channel will add that extra punch here as well, hey presto, four high quality tones to start building on all for well under £200. So I love it and recommend it, Pete Thorn who knows more about tone than the rest of us put together loves it. Remind me why your tone is lacking again?…………………………….